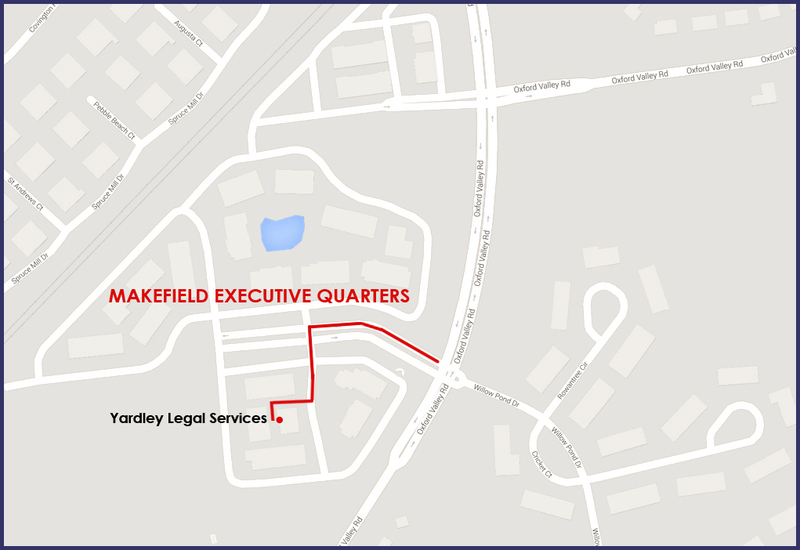 Yardley Legal Contact - Yardley Legal Services, P.C. This is the Google map you can use to get directions.If using MapQuest, type in Lower Makefield Township instead of Yardley. Go to the Contact Page to fill out the Contact Form and for a Google Map to our location.